This plugin is only for the ClassiPress Theme home page by AppThemes. Makes ClassiPress site home more attractive, widgetize and easy to manage. Separate page template to create and set new home page and it will make your home page widget ready. Home page manage control is totally in your hand. We making your home page easy to control, more flexible and more attractive. Home page full content screen section, full content(960px) section and sidebar via widget section can be easily managed. If there is no sidebar set for new home page, it will work with default sidebar. You may also use widgets like text widget to show your content or as per your idea. Display banner slider by using “Banner Slider For ClassiPress“. Image gallery by using “Banner Slider For ClassiPress“. Display more ads in less space. Featured ads with different slide options. Recent ads with different slide options. Popular ads with different slide options. Random ads with different slide options. Sold ads with different slide options. Popular ads by total views with different slide options. Popular ads by today’s total views with different slide options. Different category wise ads with different slide options. Slider per ads settings to adjust ads as per size. View more ads link and set url as per settings automatically. Show/hide more ads link, option to add more link url manually, change more link text and open in new tab options. Use all most ClassiPress theme widgets on home page. widget name :: “WPWHC Listing Tabs”. It will tabs as per classipress theme default home. This widget work only for home template –>> with right sidebar page OR with left sidebar page. Set homepage like classipress original home page in additional of plugin new features. widget name :: “WPWHC Category”. Add category IDs to display specific category only. 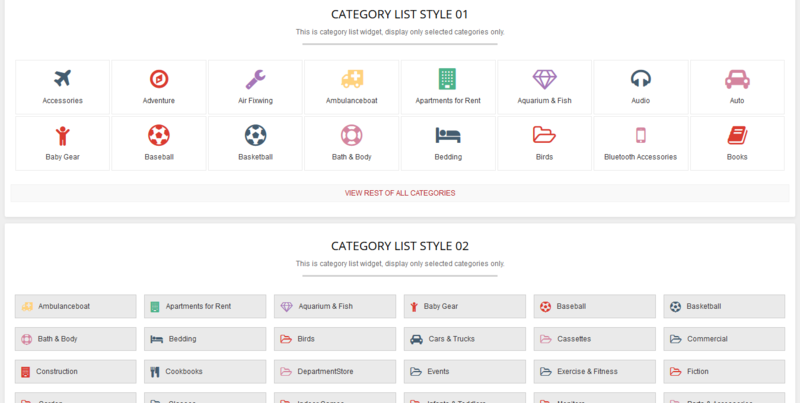 wp-admin >> Ads (left menu) >> Home Control ClassiPress > “Category Icons” tag. Get category icons from >> http://fontawesome.io/icons/. Get color code from >> http://htmlcolorcodes.com/ OR http://www.w3schools.com/colors/colors_names.asp. Design settings options added to change front end color of display. Wp-admin >> plugin settings >> category icons section — category not display – ERROR >> SOLVED. New widget for category listings format added. See below image how it will display on front end. See live and related admin settings on demo. New widget for welcome user as per default home page – vantage theme added. Add this widget to sidebar as per you want to display.